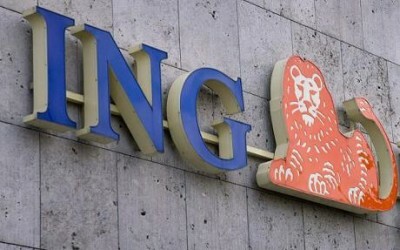 DUTCH banking group ING is moving some of its back-end operations from the Netherlands to Singapore to save on costs. At a media round-table yesterday, Mr Gerlach Jacobs, ING's global head of transaction services, said that Singapore, already its regional headquarters, will handle the back office functions for some of its operations in smaller European countries as well. However, he declined to reveal how many jobs will be added at the bank here. Mr Jacobs explained that the bank was in the process of executing the shift, and that it will be 'fairly sizeable'. The bank also has plans to invest €500 million (S$802.2 million) over the next four years globally on information technology to support the trade finance business. ING also has another operations centre in Poland. Asia is becoming increasingly important to ING's commercial banking operations, and makes up about 60 per cent of the bank's exposure in trade finance services. Trade between the euro zone and China, India and South Korea make up the bulk of its business here. In its home markets of the Netherlands and Belgium, the bank has a market share of about 20 per cent of the trade finance business, said Ms Juultje van der Wijk, its managing director and global head of trade finance services. She stressed the importance of the trade finance business, adding that the financial industry is increasingly looking to this stable, low-risk business in uncertain times. However, the bank decided not to pick up on some of the businesses that were on offer when many European banks were downsizing their balance sheets last year, in order to meet the new capital requirement rules.